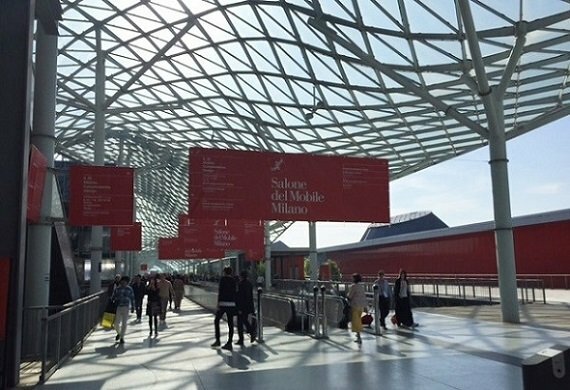 This week some of our team are in Italy visiting the 29th edition of Euroluce. Spread across 38,000 square metres and with 450 of the best exhibitors from all over the globe, the exhibition is recognised as the global benchmark lighting exhibition. Our team will be exploring the show, seeing all the latest designs from some of our favourite brands. Follow us on Twitter, Facebook and Instagram as we post live from the biggest lighting design exhibition in the world. ﻿﻿﻿﻿﻿﻿Visit us on our social sites to keep up to date on new products and what's on trend! You can find us on Facebook, Twitter, Instagram, Pinterest and now Polyvore! 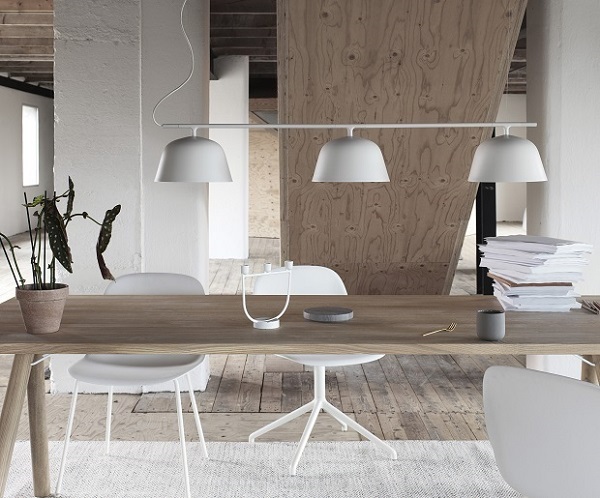 We are excited to announce that Louis Poulsen has released their newest designs.﻿ The lighting manufacturer, founded in 1874 has released one new design and added new finishes for two of its most popular designs. 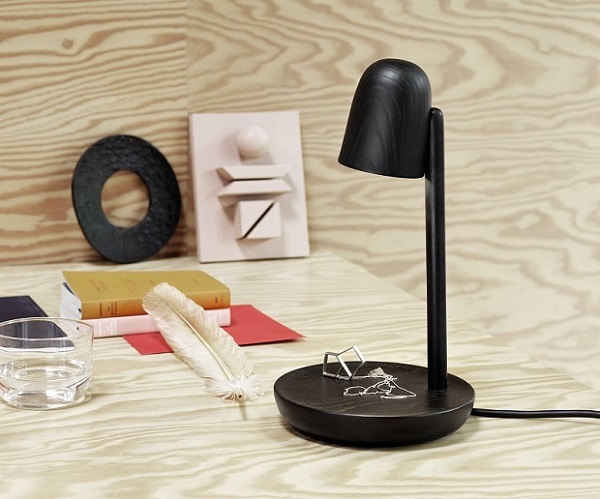 “I have designed a lamp that embodies my mantra: how simple do you dare to design? I would rather remove than add and I always encourage myself to go as simple as possible" says Mads Odgård. 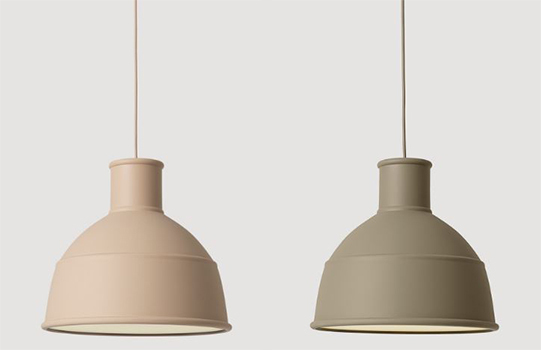 The new design that Louis Poulsen introduces is the Above pendant by Danish designer Mads Odgård. The Above pendant features a graphic triangle with and arch-shaped opening at the top revealing the cord. The Above creates a downward light and a discreet upward light, resulting in a subdued and pleasant ambience. The beautiful detail of the open top, to which its name refers, conceals the light source to provide the pendant with an ingenious and functional aspect. Above is manufactured in Denmark and crafted in aluminium with a matt, painted finish. 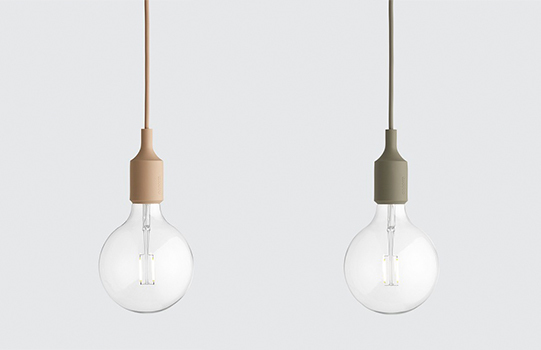 The pendant is available in four sizes and two colours. The New Year brings not only new designs but new finishes. 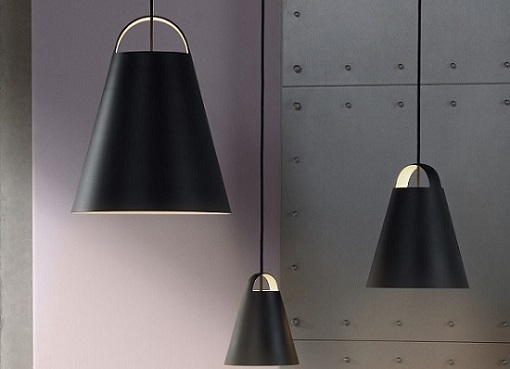 Louis Poulsen introduces seven new chrome and black metallised designs to the PH Glass family. The industrial look of the dark metallised surface offers a bold yet understated look while the mouth-blown opal glass shade soften the overall look of the lamp. 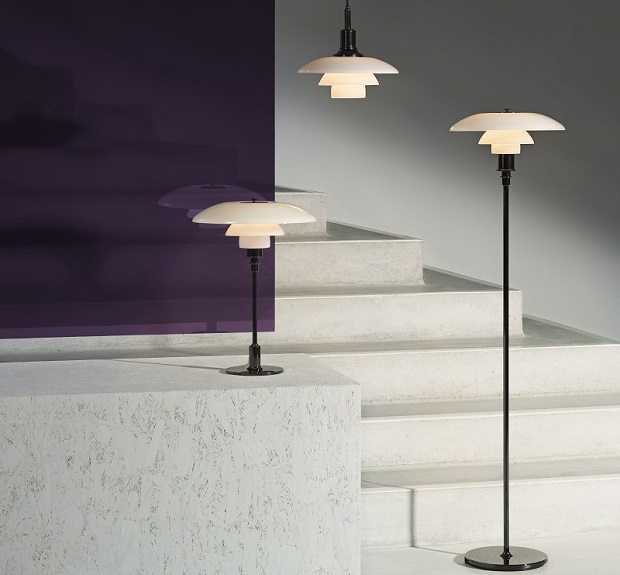 The three-layer opal glass, which is glossy on the top and sandblasted matt underneath, provides a soft and uniform light distribution. The PH collection was first introduced in 1926 with the PH 2/1. The model numbers refer to the shade size and each top shade has a corresponding set of middle and lower shades. In the original models the 2/2 top shade has a width of 20cm but uses lower shades from the 1/1 model to give it a dynamic outline. Later in 1928 the PH 3½-2½ was designed which is one of many advanced projects undertaken by Poul Henningsen in the development of his world-famous three shade system. Click here to view the Louis Poulsen range and keep your eyes peeled as next month we revel which other classic design has beautiful new finishes.